This is Mario and Josephine Quagliata, and their children with their children's spouses. 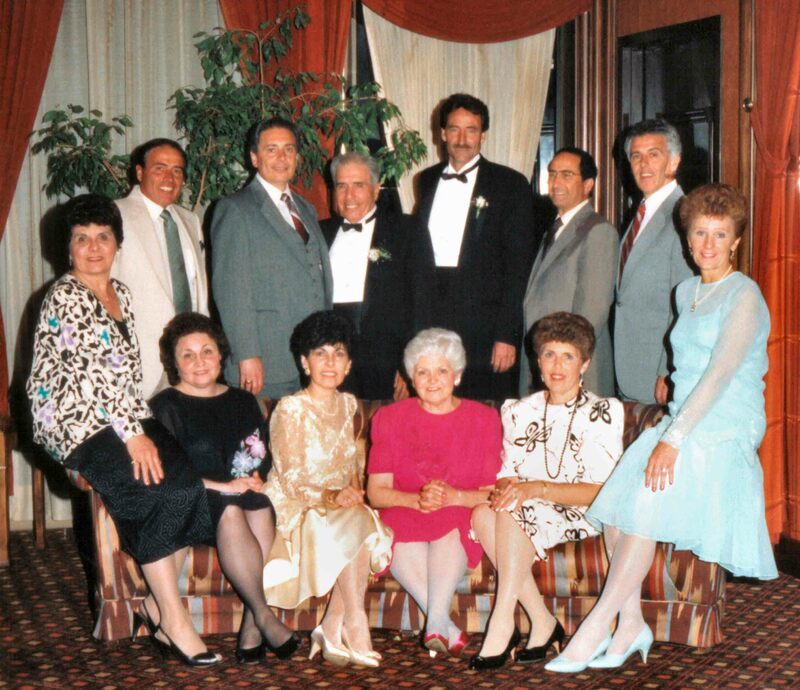 The men are lined up behind their wives; except Mario Quagliata and Vincent Petrella are switched. 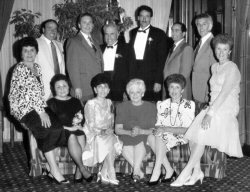 The photo was taken in 1987, in Chicago, at the wedding of Vincent Petrella Jr. Click the photo for a full size view. Thanks to Michael Quagliata (son of Joseph and Ann Quagliata) for this great photo. Vincent Petrella (wed Mario's daughter Rose), John Cicchiani (wed Mario's daughter Grace), Edward Quagliata (Mario's son). Josephine Quagliata (Mario's wife), Grace Cicchiani (Mario's daughter), Bernice Quagliata (wed Mario's son Edward). Images and information that appear on all pages that comprise this site are protected by copyright laws. No distribution or other rights are given or implied by their presentation. except where the source is credited to a second party. is prohibited unless approved by the author. The commercial use of images found on this site is prohibited unless approved by the author. Contact the author via email.